Imagine sitting at the end of Main Street U.S.A., looking at Cinderella Castle, the ragtime pianist serenading you as you bite into a juicy all-American hotdog. Is there anything better? Twenty years ago today, Casey’s Corner opened, pleasing hungry guests and baseball fans alike. 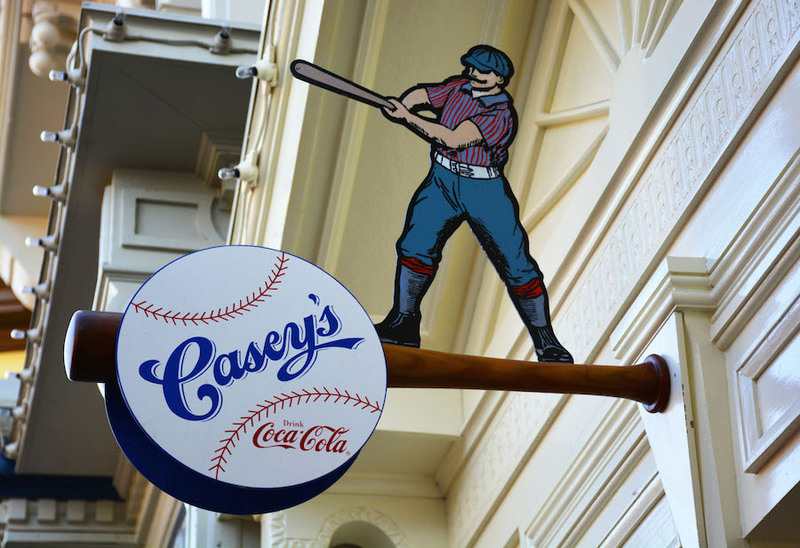 Decorated with vintage baseball souvenirs and photos, Casey’s Corner has been hitting it out of the park since 1995. Guests enjoy tasty favorites like the Barbecue Slaw Dog, Corn Dog Nuggets and Ball Park Nachos. Last year, we reimagined the interior to accommodate even more fans with additional seating.